Sheba the Persian Cat from Bulgaria. 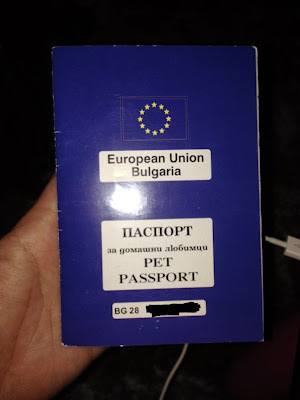 Origin: Bulgaria. Her parents are also from Bulgaria. You can see her Passport above if you don't believe me. Albi Petzone, G20, Jalan Putra Perdana 1/3, Taman Putra Perdana, Puchong, Selangor. If you are unable to locate his shop, also you can use Waze and search using Foursquare. Alternatively, please whatsapp/sms/call this owner: +6012-3639846. Very friendly and talkative owner I would say! Just call him Albi should be fine. From the review that I have seen, this food is for early development of immune system, teeth development, etc. I also notice that she is getting fatter and fatter, imagine 200g/week! Royal Canin is good to reveal the coat's beauty and natural colour as well as for the development of the immune system. We give Sheba our normal drinking water so that she will stay healthy and make us happy all day long! Troy Nutripet: High Energy Vitamin Concentrate. Suitable for cats and dogs. 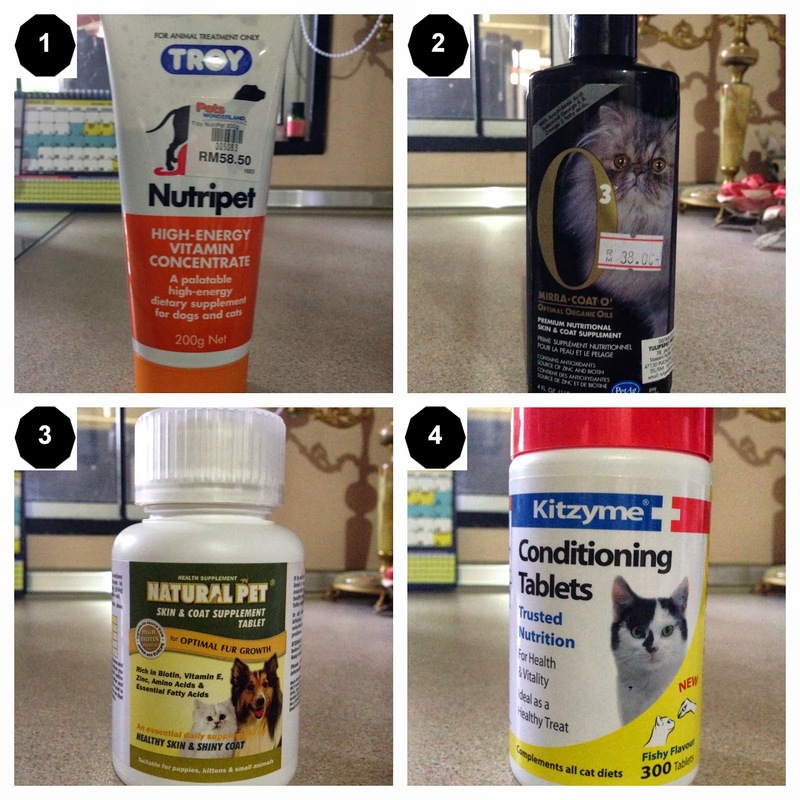 I purchase at Pets Wonderland in Mid Valley for RM 58.00 (Expensive). I can get RM52 at Albi Petzone. Mirra - Coat O, Optimal Organic Oil: It is a premium nutritional for Skin & Coat Supplement. I purchased it at Albi Petzone for RM 38.00. It says that we should notice an improvement in our cat's skin and coat within 2 weeks. We'll wait for the result at Sheba. 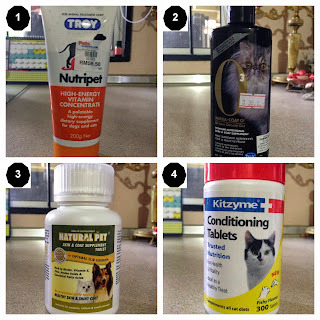 Natural Pet skin and coat supplement: This is good as it is rich in Biotin, Vitamin E, Zinc, Amino Acids and Essential Fatty Acids for healthy skin and shiny coat.If I am not mistaken the price is around RM60. 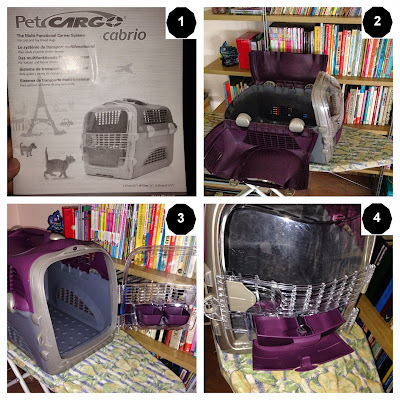 I purchased this from Pets Wonderland Mid Valley. Kitzyme Conditioning Tablets. It is for good health and vitality. I purchased this from Mesra Petshop located in Seksyen 7 Bandar Baru Bangi, Selangor. I need to use this special eye cleansing solution called Eyerific because Persians eye are full of dirts every 5-10 minutes. So if you want your Persian's eyes to stay brighter and shiny, just used a cotton pad and remove the discharge from the pet's eyes and eyelids. For eyes that are heavily encrusted, allow the solution to gently loosen encrustation before cleaning. The price is RM40 if I am not mistaken and I bought it from Pets Wonderland. Greyhound Comb: This is the 1st comb that you should used to groom your Persians. Comb according to the coat's direction. 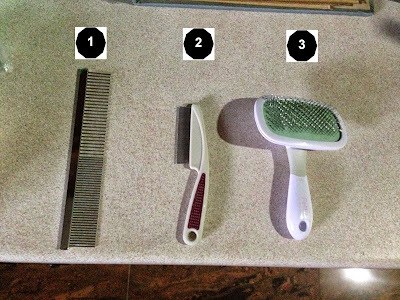 Flea Comb: This the use to comb around the face area. Normally I will used this comb after the Greyhound Comb. Slicker Brush: This is normally used to brush their tail and behind. The direction is opposed to the Greyhound's direction. This product is called the Litter-Pans from Catit. It is very useful product as the cats will be having 100% private room for them to discharge. (Hehe). I bought this for RM185 at Mesra Petshop. 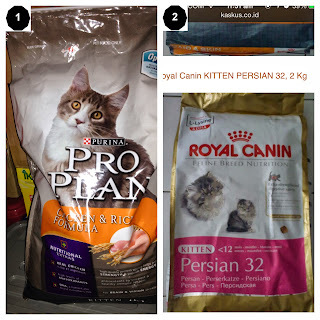 It is now available almost all Pet-Shop and the price differs from one place to another. The cheapest that I asked was RM155 from Cat Station Bangi (Sorry I don't have the hp now). Alternatively you can browse its product by clicking here. This litter-Pan has a door for the pets to access its private room. This is the place where the cat will discharge. You can pour the litter sand here and the cat will know what action to do next. There is a handle located on the left side of this litter-Pan. Basically what it does is that once the cat has finished discharged, you can easily pull the handle to remove the discharge onto the ground. 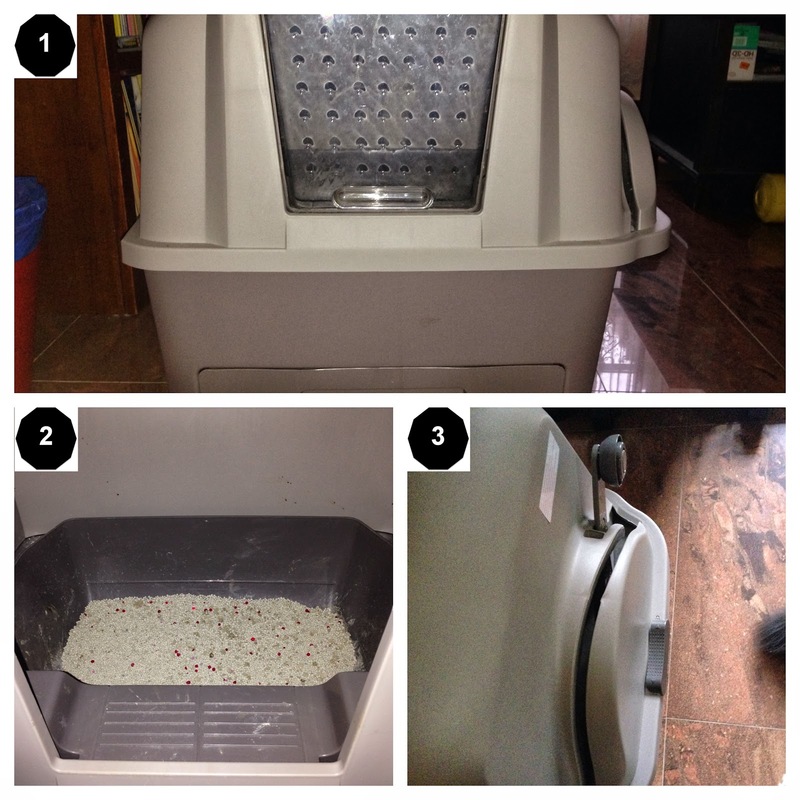 At the bottom of the litter-pan, there is a drawer for you to clean up the discharge. It is easy and good t handle. On top of the litter-pan you will see a black cloth type. It is actually a carbon to eliminate the odours from the discharge so that your house will smell good all the time. It is big considering her weight is 2.7+kg now for a 5 month kitten. It can be opened from the top. It can be opened from the front. It has room for food and water storage. It is not recommended to store water. The price is around RM 180 if I am not mistaken. I bought this from Mesra Petshop in Bangi. Alright, so I will share with you my experience dealing with the clinics and shops that I have visited. Albi Petzone: Address as written above. Customer satisfaction: best. You can purchase most of the pet stuffs here. For your information, they have a centre called Padipaddy cattery. Basically Albi told me that they breed most of the Persians here. Also, if you want to purchase imported Persians, you can ask his help because he provides that kind of services to the customer. You can click here for more details. Mesra Petshop. This is a Petshop integrated with a Vet clinic. Most of the items are quite expensive but the response are great. The business is good. Doctors are great and friendly. Customer satisfaction: good. It is located in Bandar Baru Bangi seksyen 7. Dr. Pet: It is situated at Bangi Seksyen 5 I think. Customer satisfaction.Not good for me as I am not satisfied when I sent Sheba for grooming. The cleanliness is not up to my satisfaction. Bandar Puteri Veterinary Clinic and Surgery: Address: 16, Jalan Puteri 5/8, 47100 Puchong, Malaysia. Tel +603 8062 1038. Customer satisfaction: Best. The reason why I am here is because I had to purchase a medicated shampoo called Coatex since Sheba has developed funges spot at her body. Poor Sheba. The lady at the counter was so friendly. The price that I paid was RM90. I hope you find it very useful. These are all the information that I can share with you. InsyaALLAH I will be sharing again later next time when I have something new to inform everyone. Please share anything or comments should you have anything to ask for.